Back again for another mealtime monday! This week I am sharing a simple recipe that we like to bring in the mix from time to time. 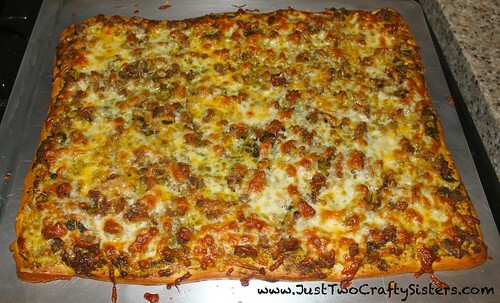 Back when we lived in San Francisco, our favorite pizza was the pesto sausage from Amici’s. 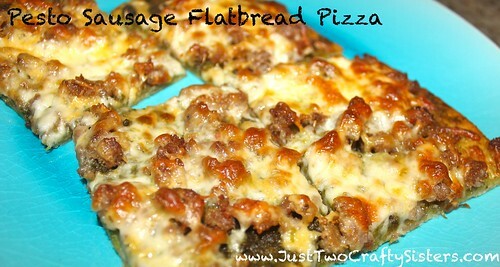 Now that we can’t walk over and pick one up, we came up with an easy recipe for a pesto sausage flatbread pizza. Preheat oven to 400°. 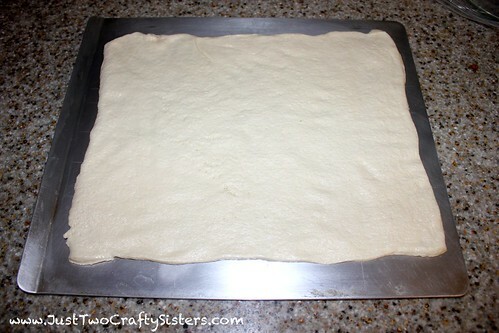 Roll out your pizza dough on a greased baking sheet. Pop into the oven and bake for 7 minutes. 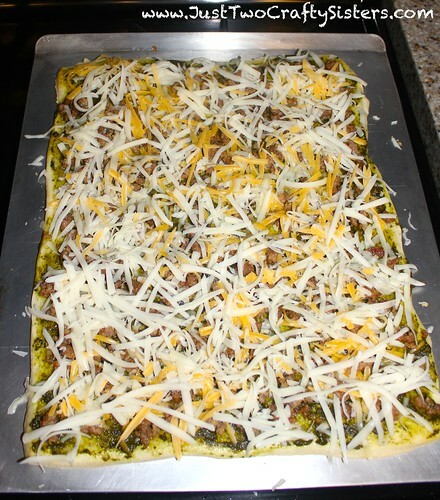 By partially baking the dough before topping you will get a crisper crust. 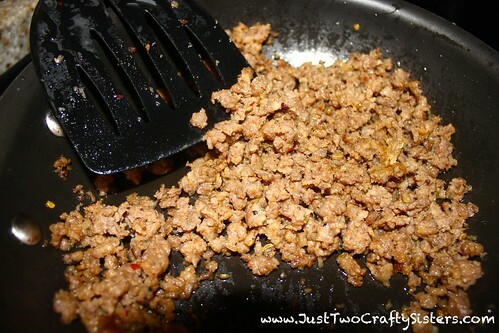 Meanwhile, cook sausage in a large skillet over medium-high heat. Remove pizza crust from the oven. 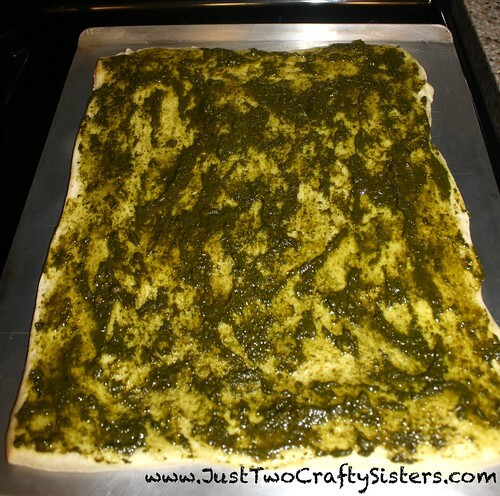 Spread a thin layer of homemade pesto over the entire surface. 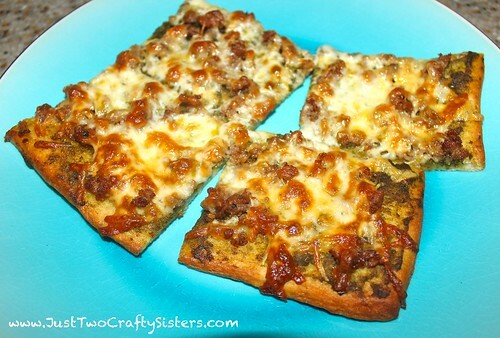 Top with cooked sausage and grated cheeses. Return to the oven and bake for an additional 7-9 minutes or until browned and crisp. Cut into pieces and serve. So simple and delicious; a great weeknight meal!